Journal names link to online access - if your institution does not subscribe, feel free to email me for a preprint. Qi Zhang, Fumiaki Matsuoka, H.S. Suh, Peter A. Beaucage, S. Xiong, Detlef-M. Smilgies, Kwan W. Tan, Joerg G. Werner, Paul F. Nealey, Ulrich B. Wiesner. ACS Nano 12 347-358 (2017). Peter A Beaucage, Ethan M Susca, Sol M Gruner, Ulrich B Wiesner. Chemistry of Materials 29 8973-8977 (2017). Katharine W Oleske, Katherine P Barteau, Peter A Beaucage, Emily Asenath-Smith, Ulrich B Wiesner, Lara A Estroff. Crystal Growth & Design 17 5775-5782 (2017). Kevin E Fritz, Peter A Beaucage, Fumiaki Matsuoka, Ulrich B. Wiesner, Jin Suntivich. Chemical Communications 53 7250-7253 (2017). Brian J Smith, Lucas R Parent, Anna C Overholts, Peter A Beaucage, Ryan P Bisbey, Anton D Chavez, Nicky Hwang, Chiwoo Park, Austin M Evans, Nathan C Gianneschi, William R Dichtel. ACS Central Science 3 58-65 (2017). Katharine W Oleske, Katherine P Barteau, Melik Z Turker, Peter A Beaucage, Lara A Estroff, Ulrich Wiesner. Anton D Chavez, Brian J Smith, Merry K Smith, Peter A Beaucage, Brian H Northrop, William R Dichtel. Chemistry of Materials 28 4884-4888 (2016). Qi Zhang, Yibei Gu, Yuk Mun Li, Peter A. Beaucage, Teresa Kao, and Ulrich Wiesner. Chemistry of Materials 28 3870-3876 (2016). Durgesh K. Rai, Gregory Beaucage, Kedar Ratkanthwar, Peter Beaucage, Ramnath Ramachandran, and Nikos Hadjichristidis. Physical Review E 93 052501 (2016). Ethan M. Susca, Peter A. Beaucage, Margaret A. Hanson, Ulrike Werner-Zwanziger, Josef Wilson Zwanziger, Lara A Estroff, and Ulrich Wiesner. Chemistry of Materials 28 2131-2137 (2016). Spencer W. Robbins*, Peter A. Beaucage*, Hiroaki Sai, Kwan Wee Tan, Jörg G. Werner, James P. Sethna, Francis J. DiSalvo, Sol M. Gruner, Robert B. Van Dover, and Ulrich Wiesner. Science Advances 2 1001115 (2016). Determination of the interaction parameter and topological scaling features of symmetric star polymers in dilute solution. Durgesh K. Rai, Gregory Beaucage, K Ratkanthwar, Peter Beaucage, Ramnath Ramachandran, and Nikos Hadjichristidis. Physical Review E 92 012602 (2015). Ordered mesoporous crystalline aluminas from self-assembly of ABC triblock terpolymer-butanol-alumina sols. Kwan Wee Tan, Hiroaki Sai, Spencer W Robbins, Jörg G Werner, Tobias N Hoheisel, Sarah A Hesse, Peter A Beaucage, Francis J DiSalvo, Sol M Gruner, Martin Murtagh, and Ulrich Wiesner. RSC Advances 5 49287 (2015). Topological investigation of electronic silicon nanoparticulate aggregates using ultra-small-angle X-ray scattering. Emmanual O Jonah, David T Britton, Peter Beaucage, Durgesh K Rai, Gregory Beaucage, B Magunje, Jan Ilavsky, MR Scriba, and Margit Härting. 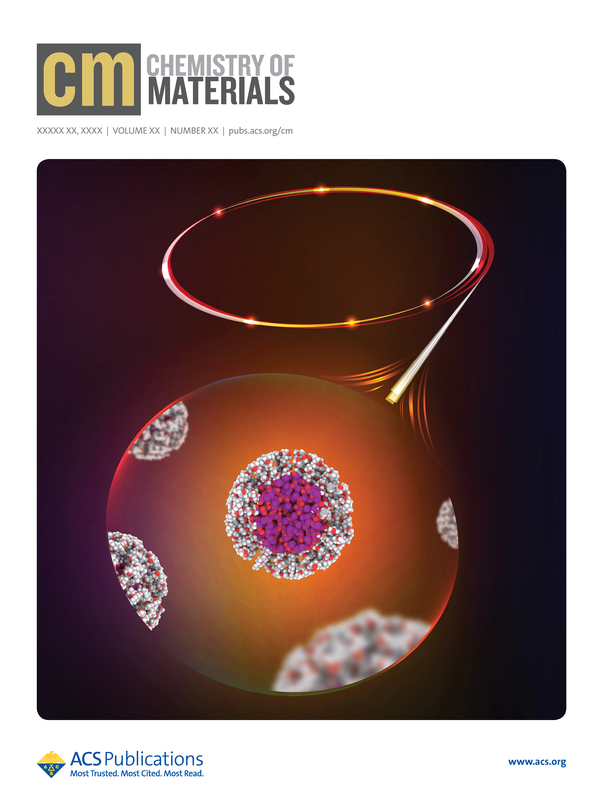 Journal of Nanoparticle Research 14 1(2012). ACS National Meeting - talk - August 2016. Selected as best in session. Gordon Research Conference - Polymer Physics - poster - July 2016. Synthesis of a new class of superconducting nanoporous morphologies based on a 3-D periodic gyroid structure. Cornell Physics Department Lunch Discussion - invited talk - May 2016. Gordon Research Conference - Crystal Growth & Assembly - poster - July 2015. Advanced Photon Source User Science Seminar - invited talk - June 2015.